You can download the tracks for free. Bassist James Ilgenfritz did a coast to coast tour in the summer of 2007. He had heard clips of the Kevin Pike/John Kotchian Duo online, so he contacted saxophonist Kevin Pike to see about doing a show in Omaha. Instead of a show, the three decided to record at DoyleMusic. The trio had never played together before, and they decided against rehearsing or planning out their improvisations. Instead, they just started playing and let the tape roll. 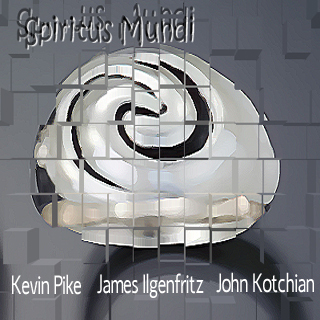 The end result is the album you see here: Spiritus Mundi. 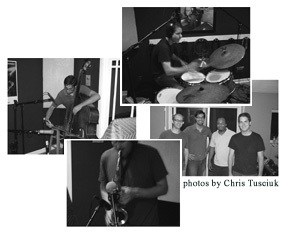 August 29, 2007 - a free jazz recording session in Omaha. Watch a clip of the recording session on YouTube.